No one wants to develop a cavity, yet most people have experienced this dental problem at least once in their lives. In many cases, a cavity is an indication of poor or lacking oral hygiene habits. To reduce the risk of cavities, patients should brush their teeth twice a day, floss once a day, rinse the mouth with water after eating or drinking sugary or acidic foods, and attend dental exams and cleanings every six months. While prevention is always best, if you do develop a cavity, Dr. Steven M. Balloch can perform restorative dentistry treatment to eliminate the tooth infection and replace lost tooth material. To undergo treatment for cavities, contact our Hartford, CT practice today. The first step a dentist will take when a patient has developed a cavity is eliminating the infection and removing all damaged tooth material. A cavity is caused by dental bacteria that emit acids as they feed on the plaque and tarter in your mouth. This acid is extremely harmful, and it slowly eats away at the healthy structure of your teeth, forming a hole, or cavity. To stop the progression of decay, Dr. Balloch will remove any unhealthy tooth material surrounding the cavity. Then he will clean and disinfect the tooth, preparing it for step two, the restoration of the tooth. Dental fillings: Dental fillings are the most common treatment for cavities. A filling can be placed on any tooth in the mouth, but they are generally best suited for small to medium-sized cavities. This treatment involves the application of tooth-colored composite resin. The resin is applied in layers, and a curing light is used to harden each layer. 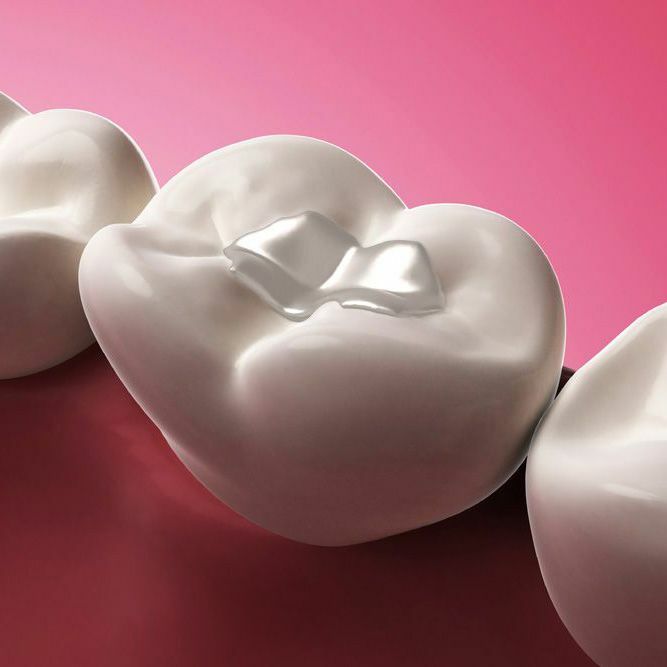 Once the cavity in the tooth has been completely filled, and the patient’s bite restored, this cavity treatment is complete. Dental fillings require just one dental appointment. Inlays and onlays: Inlays and onlays can be used to treat cavities located on the biting surface of the molars and pre-molars, also known as the back teeth. These restorations are typically used for medium-sized cavities. Inlays and onlays are custom made in a dental laboratory to fit within the patient’s tooth, replacing the tooth material that was lost to decay. Inlays are made to fit within the tooth’s cusps, and onlays can be used to treat this indented surface, as well as the cusps. These porcelain restorations require two dental visits. Dental crowns: Dental crowns can be used on any tooth in the mouth. They are used when a patient has a large cavity, and the tooth needs additional strength to withstand the force of biting and chewing. Dental crowns are made of dental porcelain, and are also made in a dental lab, thus treatment requires two dental visits. The restoration fully encases the tooth, lending it the strength and support it needs to maintain full dental function. To schedule an appointment, contact our practice today.